You can't always get to the vet fast enough to protect your parrot from further harm when accidents happen. 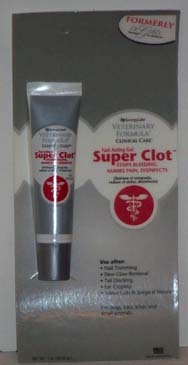 For that reason, you should have on hand, a fast-acting gel to stop bleeding, that disinfects, and numbs pain, too. It is more convenient and sanitary than powders, and less expensive! Comes with a new easy-to-use tube and applicator.